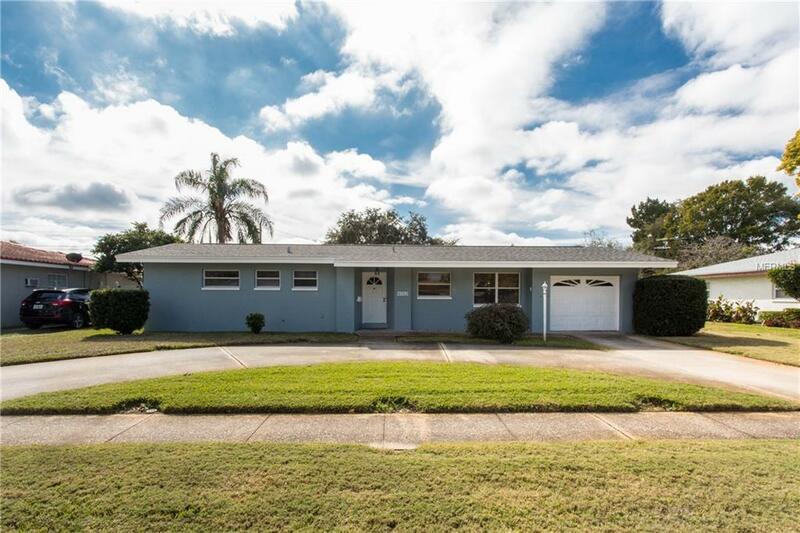 Welcome to this immaculate and well maintained 2 bedroom, 2 bath Florida style block home with 1,400+ square feet of living located in the highly desired and centrally located Harshaw Lake neighborhood is a must see!! The oversized 1 car garage houses the washer and dryer and the very large sodded backyard are ready for BBQ's and family events. This very special home has been freshly painted inside and our and is move-in and turn key ready with newer AC and Timblerline Roof in 2008. This home is just minutes from the Rays' Tropicana Field, downtown St Petersburg and award-winning beaches. No HOA required and it is high and dry in flood zone X!